In the wake of the U.S. Supreme Court’s June 21, 2018, decision in South Dakota v. Wayfair, the business world has changed dramatically. In determining that, under certain conditions, a state could require a remote seller to collect and remit sales and use tax liabilities, the Court overturned its own longstanding precedent that had required the seller to have physical presence in a state to establish sales tax nexus. The impact of Wayfair is substantial, from both sales and use tax and income tax perspectives. Now, businesses must do more than track where salespersons and property go in order to make proper nexus determinations. As states rush to enforce economic nexus guidelines, complying with the new rules is proving to be not only a huge task but also a burden when it comes to recordkeeping, resources, budget, and time. In Wayfair, the U.S. Supreme Court overruled the physical presence requirement established in Quill Corp. v. North Dakota and changed a fundamental aspect of the sales tax nexus requirements historically applicable under the Commerce Clause. In reaching its decision, the Court reviewed its Commerce Clause principles and their application to state taxes. Although the Supreme Court generally is very reluctant to overrule its prior decisions, in Wayfair the Court explained that overruling precedent in this matter was warranted and necessary, to reflect how the internet’s dramatic growth has changed the dynamics of the national economy. The Court determined that reversing Quill was necessary, because the case prevented the states from exercising their lawful sovereign power to collect sales tax. The Court identified the ability for Congress to rectify the longstanding physical presence rule, but explained that it was not the Court’s role to ask Congress to do so. According to the Court, the expansion of internet sales has reportedly increased the sales tax revenue shortfall without a corresponding increase in use tax collections experienced by the states. The perceived decline in revenue created an urgency for overturning the physical presence rule. In rejecting the argument that the physical presence rule is clear and easy to apply, the Court explained that “[a]ttempts to apply the physical presence rule to online retail sales are proving unworkable.” Noting that the rejection of the physical presence rule may place a heavy burden on small internet retailers that have a small volume of business in many states, the Court was of the opinion that available software should ease this burden, and Congress ultimately may decide to enact legislation to address this problem. In Wayfair, the Court determined that the South Dakota law provides small merchants with a reasonable level of protection, because remote sellers are required to collect sales tax only if they do a considerable amount of business in the state. Also, the law is not retroactive, and South Dakota is a part of the twenty-four full and associate member state Streamlined Sales and Use Tax Agreement (which is designed to simplify and modernize sales tax administration so as to reduce the burden of tax compliance). Finally, other aspects of the Court’s Commerce Clause doctrine may serve to avert an undue burden on interstate commerce. The Court concluded that the physical presence rule of Quill is “unsound and incorrect” and expressly overruled Quill and other precedent outlining the physical presence standard. 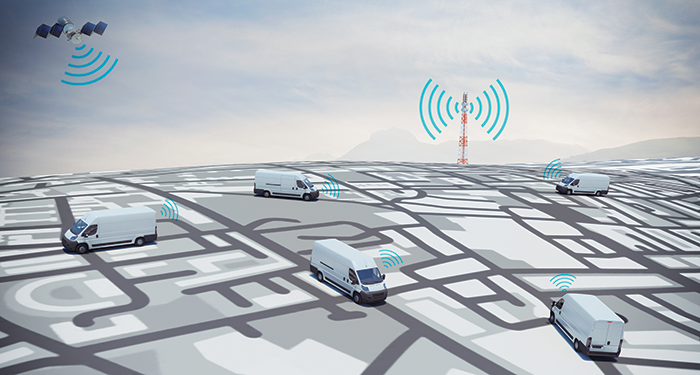 The Court determined that the substantial nexus required by Complete Auto Transit v. Brady is “clearly sufficient based on both the economic and virtual contacts” the remote sellers had with South Dakota. Because the statute has defined parameters that apply only to remote sellers with annual in-state sales of more than $100,000 or 200 or more transactions for the delivery of goods or services in South Dakota, the seller is engaging in the substantial privilege of conducting business in the state. These protections that the Court identified in the South Dakota law are expected to be replicated throughout the United States as states roll out their own economic nexus rules in response to the Wayfair decision. Since the Supreme Court handed down its decision on June 21, 2018, more than thirty states have either issued effective dates on previously enacted legislation and regulatory guidance or have issued proposed rules in the form of legislation, revenue rulings, regulations, or administrative guidance. Most states have taken positions similar to South Dakota’s, with dollar thresholds of $100,000 or transaction thresholds of 200 or more transactions. The effective dates states have chosen to begin enforcing the new economic nexus rules vary somewhat, with some states enforcing compliance from July 1, 2018, but most others having chosen October 1, 2018, or January 1, 2019, as the starting date. However, in measuring these dollar or transaction thresholds, states require companies to use backward-looking data. Therefore, depending on the state, sales or transactions that occur during the current and/or prior calendar year in which the statute goes into effect may count toward meeting those thresholds. The most frequent concern we hear from clients and the business community is how to deal with onboarding all these registrations and compliance obligations, given that indirect tax personnel are already stretched thin. Additionally, as many states begin implementing economic nexus provisions, a trend in expanding the definition of “retail” or “gross” sales used to measure the economic thresholds is emerging. These nexus-creating thresholds appear to generally include not only taxable sales into a jurisdiction but also exempt and wholesale sales. By expanding these definitions, jurisdictions are able to subject companies that are in the resale/wholesale business, or that primarily engage in activities often exempted from sales tax, to registration requirements, documentation, and more. Furthermore, some states have issued proposed legislation that substantially departs from the South Dakota statutory thresholds, complicating compliance and tracking of state guidelines and developments. The most frequent concern we hear from clients and the business community is how to deal with onboarding all these registrations and compliance obligations, given that indirect tax personnel are already stretched thin. We get it. Coming up with a plan of attack for how to track and comply with the resulting state guidance from Wayfair is overwhelming. We suggest taking things step by step. The first (and quite possibly the most difficult) of all tasks associated with economic nexus compliance is tracking developments by state. In the short time since the Wayfair decision was released, several states have released intricate guidance practically every week. Staying on top of which states have enacted rules, whether via legislation, directives, or administrative guidance, is vital in monitoring where current and future obligations may lie. Being prepared for where your business will need to register, collect, and remit is the first step in addressing the new obligations that states have imposed on remote sellers. Instead of registering and collecting in all of these jurisdictions in a hurry, you can phase in new jurisdictions based on the effective date. Sales tax returns are typically due on the twentieth day of the following month. Accordingly, the Maine sales tax return was due August 20; the Illinois, Kentucky, Michigan, and Wisconsin sales tax returns are due November 20; and the Iowa and Utah sales tax returns will be due February 20, 2019. For states that were early adopters of economic nexus legislation or other guidance, due dates for some sales tax returns may have passed. If your company met the dollar or transaction threshold on or before the effective date, some penalties and interest may be accruing. However, a few states, including Hawaii, are taking the hastily enacted new rules into consideration and allow for a grace period. In determining the extent to which your company may now be subject to new sales tax filings, the third step of ensuring documentation will be very important. Depending on how a state has defined gross sales/revenue for purposes of its economic nexus thresholds, the calculations may include exempt or wholesale sales. This means that a registration requirement may apply to your business. If so, having the proper exemption or resale certificate documentation is necessary. Not only will this keep your business from needing to go back to customers and ask for certificates, but it will also limit your company’s potential sales tax liabilities should a state tax authority decide to commence an audit. Compliance and automation solutions are another item that must be considered, especially for companies that have personnel restraints, excessive monthly data, or substantially increased compliance obligations due to Wayfair. If your business has typically prepared returns in-house, but never employed a front- or back-end solution to assist with rate calculations and return preparation, software may be the solution. Many companies tack on products to your existing ERP system to do just this. If a software solution is too expensive or not something your business is interested in, outsourcing the compliance function is a great alternative. Many providers make this service available, with diverse offerings. Outsourcing can be as simple as sending out monthly data to a third-party service provider that reviews the data and compiles it on returns, then sends it back to you to review, file, and pay. Alternately, you may want a full-service option that allows for a detailed review of data and preparation of the returns, in addition to filing and paying them (typically via an escrow account). Some providers, under a full-service option, also offer state notice response services. Outsourcing lightens the significant time and resource burdens that sales and use tax compliance can place on a business. What About Income Tax Impact? Although Wayfair (like its predecessor, Quill) concerned sales and use tax, companies may also need to consider the potential income tax implications. Many businesses historically have taken the position that Quill also extended to the state imposition of income taxes—and thus, if a company had no physical presence in a jurisdiction, that jurisdiction could not impose an income tax. This position conflicted with legislation, state court litigation, and policies developed in several larger states that set sales thresholds so as to endorse economic nexus for income tax purposes. By rejecting the physical presence standard, the Wayfair case implicitly affirms the states’ ability to use economic nexus standards for income tax purposes, resulting in the possibility that states may come after noncompliant businesses and assess tax retroactively. At least one large company has publicly disclosed a significant tax expense item for financial statement purposes as a result of Wayfair. Companies must be prepared to examine their potential tax exposure on this issue to the extent that they have relied on the physical presence test to avoid paying income taxes. Prospectively, it is likely that many states will implement quantitative (factor presence) economic nexus standards for income tax purposes that could result in further obligations for foreign sellers. A company may want to consider remediation of past liabilities, given an expanded footprint in light of Wayfair. It should be noted that Public Law 86-272, the federal statute that allows a company to enter or send representatives to a state to solicit orders for tangible personal property (with other restrictions to activity applying), is still valid. This federal provision may preempt economic nexus rules endorsed by the Wayfair decision for income tax purposes. For companies with foreign operations that make independent sales into the United States, Wayfair has a significant impact as well. If these entities make independent sales into the United States, sales and transaction numbers will need to be analyzed as well, to assess whether economic nexus has been established. This may come as a surprise to foreign entities that may be less likely than U.S.-based entities to historically track or monitor sales and transactions on a state-by-state basis. This is especially relevant for foreign entities that may not have considered the fact that the sales and use tax applies at the separate entity level, and that foreign entities may have sales and use tax obligations independent of the obligations of related U.S. affiliates. Income tax implications also may apply to foreign entities, as discussed above. When considering a merger with or acquisition of a foreign entity, companies should consider this issue during the tax due diligence process. The impact of the Wayfair case on financial reporting is significant as well. It’s important to review activities for ASC 450 purposes, relating to the accounting for loss contingencies, and disclose or reserve these contingencies as a result. For calendar-year companies, Wayfair occurred in the second quarter of 2018 and thus could have a financial accounting effect in the second quarter and beyond. A detailed review of business activities should be undertaken in consideration of ASC 450, given the initial complexities related to applying the new economic nexus standards on a wide scale. Accordingly, sales tax billings, collections, remittance, and documentation support, in addition to the implementation of changes to systems to apply these rules, will all play a significant role in analyzing ASC 450 contingencies. The same goes for ASC 740-10, relating to the accounting for income taxes. Since many states have had economic nexus standards for several years applicable to income taxes, it is possible that states may retroactively hold companies liable for non-filing positions indefinitely, because there is no statute of limitations on these types of positions. Last, a company may want to consider remediation of past liabilities, given an expanded footprint in light of Wayfair. The most common method is through a voluntary disclosure or a jurisdiction’s amnesty program. These programs usually allow for a noncompliant business to come forward, in some cases anonymously, and report liabilities. In exchange, the jurisdiction will generally limit a lookback period to the statutory period of limitations (three or four years on average) and typically waive penalties. The major benefits of these programs include compliance with a jurisdiction, limited open exposure periods, and waiver of penalties that can be quite high—over twenty percent in some jurisdictions. The Wayfair decision and resulting state actions affect, in some way, just about every business, regardless of industry. As a result, finding how to tackle the increased obligations of your company will be the key to limiting liabilities and exposure as states themselves get up to speed on their own new rules. There are many options out there to help you comply with these obligations. Businesses should dedicate the necessary time and resources to find the proper financial and operational solutions to comply quickly and effectively. Jamie Yesnowitz is a principal in the Washington, D.C., office of Grant Thornton LLP and is the firm’s state and local tax—national tax office leader. Metisse Lutz is a senior manager in the Denver, Colorado, office of Grant Thornton LLP and is currently working in the firm’s state and local tax—national tax office as the Wayfair indirect tax leader.